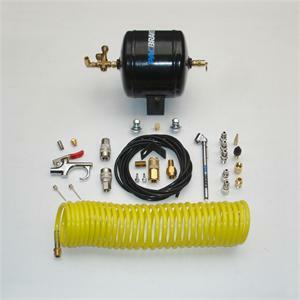 Working in conjunction with an air compressor, an air tank stores the compressed air and holds it until needed. Storing air allows for quicker product activation and is especially valuable when operating more than one product. Pacbrake offers three air tank sizes to meet everyones needs: 1/2 gallon tank, 2 1/2 gallon tank and 5 gallon tank. 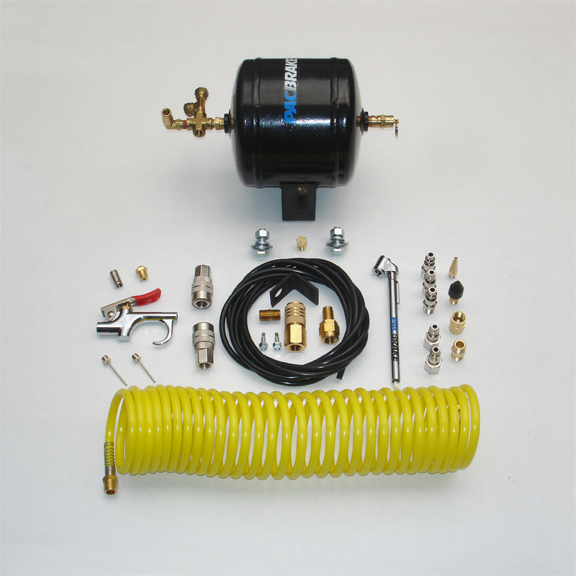 Each air tank kit comes complete with an air tank, airline and fittings.